Did you know that you can earn Steam wallet funds just by playing your favorite games? 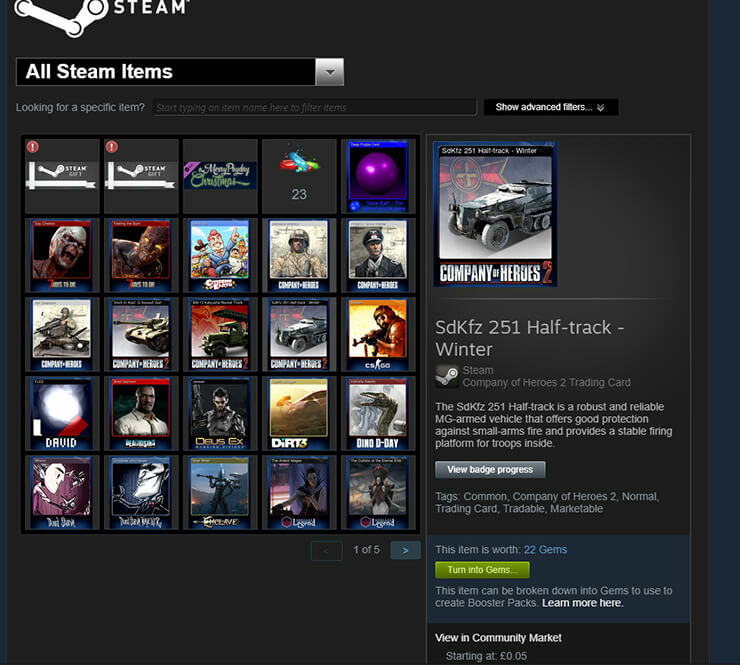 Many Steam games give players free trading cards, Steam items, and cosmetics that can all be sold for money. The money you can earn from your items on Steam can then be used to purchase new games straight from the Steam Store. Whilst many people are aware of the free money potential on Steam, most people aren't taking advantage of it. 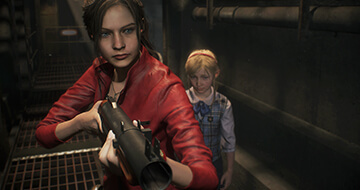 In this guide, we offer the best tips for those looking to earn enough money to buy a new game. The majority of games will give you Steam trading cards for playing them. The trading cards usually only sell for a few pennies each, but you can usually get 1-3 cards per game, and sometimes you'll get lucky and be given a card that's worth a few dollars. There's no real way to get better chances at more valuable cards, but there are certain rules that you must follow to make sure you earn trading cards in the first place. It seems that you will get your first card after the first 15 minutes of gameplay. The second card will then drop after 2 hours of gameplay. The best way to get cards is to not think about it. Simply enjoy playing the games that you do have, and over time your trading card collection will go up. If you're really fussed about earning cards as quickly as possible, you could use Steam Idle Master to automate the process. In some games, cosmetic crates can be dropped by purchasing them with in-game currency or by playing the game. In some cases, these crates can be worth a lot of money. The two most popular games that drop crates currently are Counter Strike: Global Offensive and Playerunknown's Battlegrounds. With Counter Strike, you can get two crate drops per week just for playing the game. Simply level up by earning experience from playing any of the official game modes, and you'll receive a drop. Usually, drops from Counter Strike only sell for a few cents. However, when a new crate is added to the game, they can sell for a few dollars for the first couple of weeks. CS:GO will regularly run "operations" - these are seasonal DLC packs filled with extra content and missions. If you buy an operation, you'll get the chance to get more rewards each week, and some of these rewards could potentially be worth hundreds of dollars. With Playerunknown's Battlegrounds, you can make a lot of money each week if you play the game regularly. By playing PUBG, you'll slowly receive Battle Points. Placing higher each game and killing more players will reward you with more points. You can buy a crate with 700 Battle Points, but each time you buy a crate, the price doubles. Wait till each Monday for the crate prices to reset. PUBG crate prices are much better than CS:GO ones - you can often sell the crates you get for between $0.20 and $2. 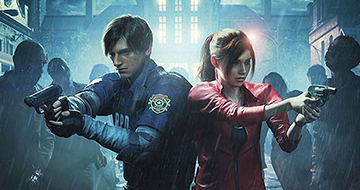 Sometimes, developers will drop exclusive pre-order or early access crates or items. 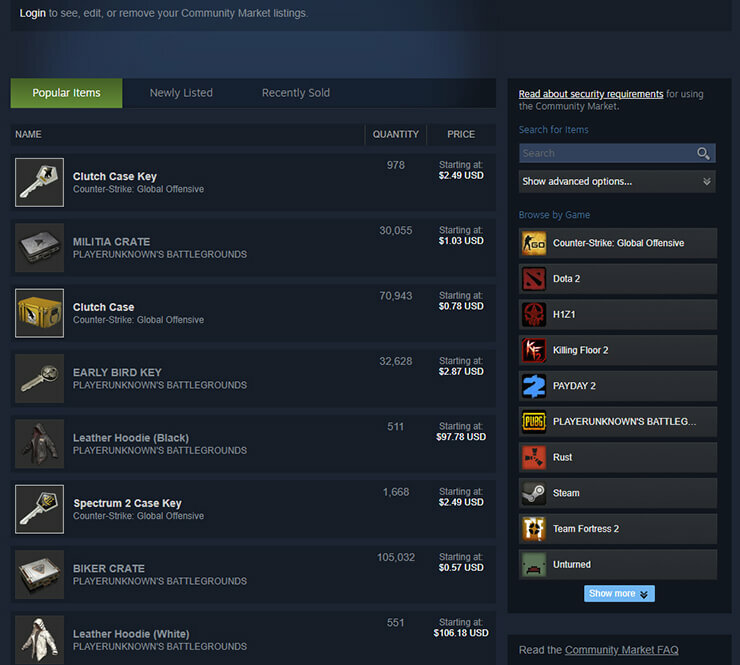 You may want to hold onto these items if they can be sold on the Steam market. These items can often end up being worth hundreds, if not thousands of dollars after the game goes into full release. One great example of this would be the Playerunknown cosmetic set which was given to all players that pre-ordered PUBG. The game cost just $30 and the set came with it for free at the time. Currently, the cosmetic set sells for $1,400 on Steam. 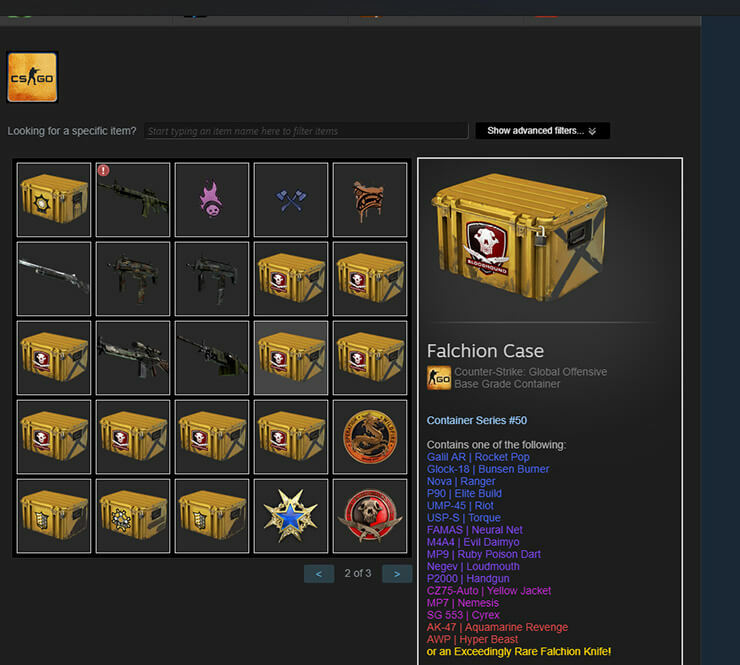 One pitfall to avoid is actually buying and opening crates with your hard earned Steam money. Whilst the attraction of potentially getting a rare item may be appealing, just remember that it's very hard to get the high value items. For example, the Biker crate for Playerunknown's Battlegrounds can be purchased for about $0.50, but you only have a 0.01% chance to get the $150 cloth mask. This means that on average, for every $5000 that's spent on these crates, a single $150 cloth mask is unboxed. It makes far more sense to save up the money you make from crates. Eventually, you'll have enough money to buy a cosmetic item, or you can even buy a new game entirely. Some games drop more than just trading cards. You can see which games drop valuable items by visiting the Steam Market and using the "browse by game" section on the right side of the Steam browser. You'd be surprised at how many items are for sale on this market. An interesting example would be the items in Golf With Your Friends. A game that costs just $6 will drop items that can sell for up to $8. You have to be lucky to get these items, but they drop regularly whilst you play the game. Remember that using the Steam market to make money won't make you rich overnight. In fact, in most cases, you'll only be pulling in pennies here and there. Over time, however, your Steam wallet balance will continue to go up. If you keep selling items as you get given them, eventually you'll have enough money to buy a new game. Myself and many others have been following the steps in this guide for multiple years now and we have all managed to buy a number of full priced $30-60 games just by selling the items we've received from playing the likes of CS:GO, H1Z1, Team Fortress 2, and Playerunknown's Battlegrounds. What are your thoughts on this guide? Do you think it's viable to slowly sell your Steam trading cards and items to build enough profit to buy a game? How much money do you have in your Steam wallet so far?